Here is a rare original David Brown\Case 1694 1690T & 1594 turbo kit & engine oil cooler. The stack in good condition.Manifold need some work see pictures & needs a new flame ring & oil feed pipe. 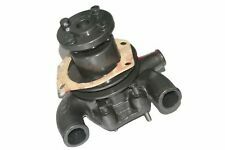 The turbo free moving with little wear in good condition. 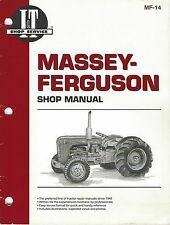 Massey Ferguson Accessories Book Range Of Farm Machinery. Condition is Used. 63 pages. Eastern tractors stamp on the back. Good condition for its age please see the photos Dispatched with Royal Mail 2nd Class. Here is a original David Brown\Case tractor 94 series dash clocks untest it in good condition. Here is a David Brown 1690T turbo decal. INTERNATIONAL HARVESTER McCormick B - 275 Diesel Tractor Operators Manual in good but a little tatty original condition. It's also probably cheaper than a reprint. I also have B250 & B414 Manuals. Here is a rare original David Brown\Case 90 series 4 wheel drive tractor brochure it 4 pages covers 1290,1390,1490,1690,2090 & 2290 tractors in good condition. The manuals contain all aspects of your tractor, including many highly quality images to help you, each step of the way. Have a look at the sample pages and see for yourself! This manual is a digital PDF product (suitable for MAC and PC) and will be supplied on CD. 7610 - 7710 -7910 - 8210 - 234 - 334. Covers Ford Tractor Models7610, 7710, 7910, 8210 the'10' Series Models including Highway Models234 and334. Tractor Manuals. Zoom in and print off page or pages as required and bin them when finished, no more grubby manuals taking up valuable storage space. AVAILABLE IN DOWNLOAD AND DISC VERSION. Easy to use, you can view using your computer and print out the part you only needed. This is on PDF format so you can view this using ADOBE ACROBAT READER. 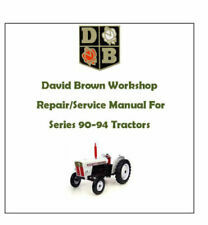 DAVID BROWN TRACTORS MANUAL IN PDF. Easy to use, you can view using your computer and print out the part you only needed. This is on PDF format so you can view this using ADOBE ACROBAT READER. Fully Detailed Manual divided in many sections. DOWNLOAD OR DISC VERSION. 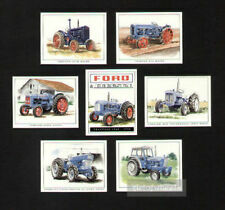 MODEL COVERED FORD TRACTOR SERIES 10 - 2610, 3610, 4110, 4610, 5610, 6610, 6710, 7610 AND 7710. Easy to use, you can view using your computer and print out the part you only needed. 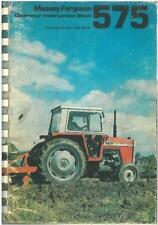 Here is a rare original David Brown\Case 1594 tractor French brochure in good condition. 4110- 4610- 5610- 6610 - 6710- 7610. 4110, 4610, 5610, 6710 and7610 the'10' Series Models. Covers Ford Tractor Models. Tractor Manuals. Chapter 9 - 'H' Pattern Synchro 5610 - 7610. Chapter 2 - Single Drop Arm 2610 - 7610. MF 5455 - MF 5460 - MF 5465. MF 5425 - MF 5435 - MF 5445. 3A-01 AD3.152 ENGINE EXAMPLES IN, MF 340,342 AND 350 TRACTOR. 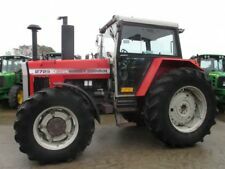 3A-02 AT3.1524 ENGINE EXAMPLES IN, MF 352,355 AND 360 TRACTOR. 3A-03 A4.236 ENGINE EXAMPLES IN, MF 362, 365, 372 AND 375 TRACTOR. This manual is a digital PDF product (suitable for MAC and PC) and will be supplied on CD. To open the PDF file you need to have "Adobe Reader" or an alternative PDF reader installed. 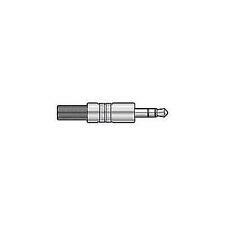 MF 3080, MF 3095, MF 3115, MF 3120, MF 3125,MF 3140. 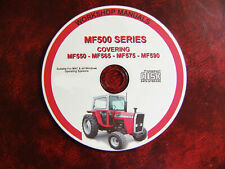 MF 3100 Series Operators Manual - Covers the MF 3115 and MF 3125 tractors. AVAILABLE IN DOWNLOAD AND DISC VERSION. Easy to use, you can view using your computer and print out the part you only needed.ON PDF format so you can view this using ADOBE ACROBAT READER. 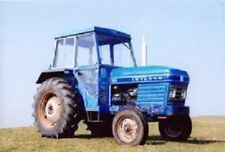 FORD 2000, 3000 & 4000 Series TRACTORS (1965 - 1975 Ford Force and Pre Ford Force Models ). This manual is a softback (printed NOT photocopy) with 100 pages. Manual and Power Steering. Rear axle & final drive gears. Special booklet to mark ninety years of the Fordson Model N, 1st April 1929 - 1st April 2019. Written by Stevan D. T. Patterson, Castlederg, Co. Tyrone Northern Ireland. A definitive guide to the tractors production history from 1929-1945 A5 size, 24 b/w pages with colour cover. Special booklet to mark the 70th Anniversary of the Ferguson 20 tractor 1946-2016. 36 pages black and white with colour cover, A5 size. Gives a year by year account of the tractors production history 1946-1956. CONDITION; OVERALL IN FAIR CONDITION, AS CAN BE SEEN IN THE PHOTOS. THE STAPLES HAVE RUSTED SLIGHTLY WITH AGE. 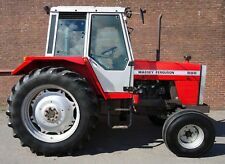 Massy Ferguson 135, 2WD Tractor, Refurbished to a very high standard, New Tyres. Just needs wiring for lights on mud guards. Please contact us for any more information or to arrange a viewing. This manual is a softback (printed NOT photocopy) with 136 pages. Rear axle & final drive gears. It contains clear and concise repair instructions with photos, illustrated diagrams, line drawings and includes all the fits, timings and tolerances required to carry out repairs and covers the following repairs. This is a Complete Service Manual including a Parts Manual in Digital PDF format suitable for Windows and MAC systems. Zoom in and print off page or pages as required and bin them when finished, no more grubby manuals taking up valuable storage space. Massey Ferguson 35 Leaflet 3 cylinder engine. In good condition. Very rare single sided Ferguson Buckrake leaflet. Around 1955. In reasonable condition. Great find for the collectors of Fordson, and County. NIAE, May 1964, Test reports on County model Super-6 diesel tractor. For sale is an A4 two-page double-sided leaflet for the Fisher Humphries Lely Trimcut hedge cutter, shown working on a Leyland/Marshall tractor. Excellent condition. This manual is a bit scruffy on the outside due to age but is all good condition on the inside, no torn or missing pages. This is an original Lubrication Guide for an International Harvester TD-9 Crawler Tractor. It shows all the points on the tractor to be lubricated, with photos, the type of lubrication to be used and the hours of operation between lubrication. Massey Ferguson 35X Leaflet 6 pages giving full tractor details. In good condition. For sale is a single-page leaflet from 1994 for the Massey Ferguson 230 2WD tractor. Good condition although a little creased as seen in pictures. Condition is Used and poor. Massey Ferguson fertilizer spreader. Condition is Used. Dispatched with Royal Mail 2nd Class. Collect in person. Ford 10 Series and 30 Series Service Repair Manual. This manual contains valuable information on the following sections. Safety Cab and Platform. You can print each page individually as needed or the whole manual can be printed and put into a folder easily if required.